Is it the Right Time to Apply for an FHA Mortgage? There are some important questions to ask yourself as you begin the planning stages for a new FHA home loan. If you are going into the process without the answers to these important questions, you might not be ready to apply for a new loan just yet. September 21, 2018 - There are some important questions to ask yourself as you begin the planning stages for a new FHA home loan. If you are going into the process without the answers to these important questions, you might not be ready to apply for a new loan just yet. The debt-to-income ratio is a tool the lender will use to determine if you are able to afford the home loan under FHA requirements and lender standards. Your income, minus your monthly financial obligations, are the basic debt ratio calculation. You may find that some lenders and some home loans require a debt ratio where no more than approximately 36% of your monthly income is taken up by monthly expenses. But FHA loan debt-to-income ratios (also known as DTI) may be higher. But this will depend in part on the borrower’s FICO scores. How is My Debt-To-Income Ratio Calculated? HUD 4000.1, the FHA loan handbook, states that FICO scores will be an important factor in setting the DTI. For example, borrowers with FICO scores that fall into the FHA maximum financing range for the lowest down payment (580 or above according to FHA standards) would qualify for a debt ratio maximum of 43% (with mortgage expenses included in the ratio) with no compensating factors required. As we can see from the above, which comes from HUD 4000.1, loan approval for those with higher debt ratios are not automatically blocked from FHA home loan approval, but there must be some type of offset so the lender can justify approving the loan. Do I Need to Work on My Debt Ratio Alone or are Other Credit Issues Also Present? Potential FHA borrowers with high debt ratios and other credit issues should work on those issues first before starting the FHA loan paperwork process or house hunting. 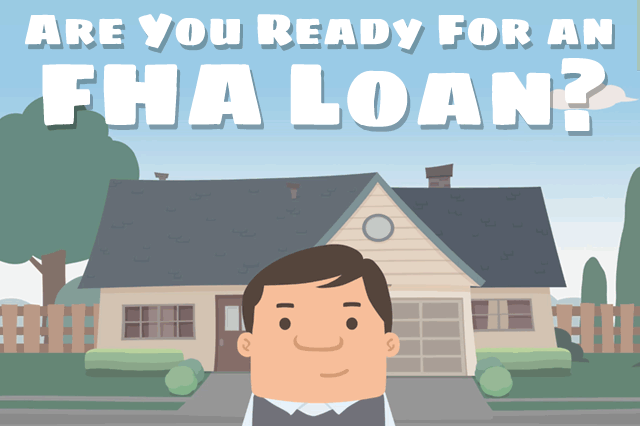 The attention you give your credit and debt ratios today can get you much closer to FHA loan approval tomorrow. Talk to a loan officer if you aren’t sure how your debt ratio and FICO scores can work together for loan approval or denial based on your specific credit information.